Here’s a quickie post. I’m writing before starting work and my list of duties I have to perform today is as long as an elephant’s nose. Maybe even two elephants. Timothy grass. This is the amount I used. The hay fields have been given their first cut and the hay is drying waiting to be baled and brought into the barn. Does anyone else love that smell? If so you may very well be interested in this vodka. 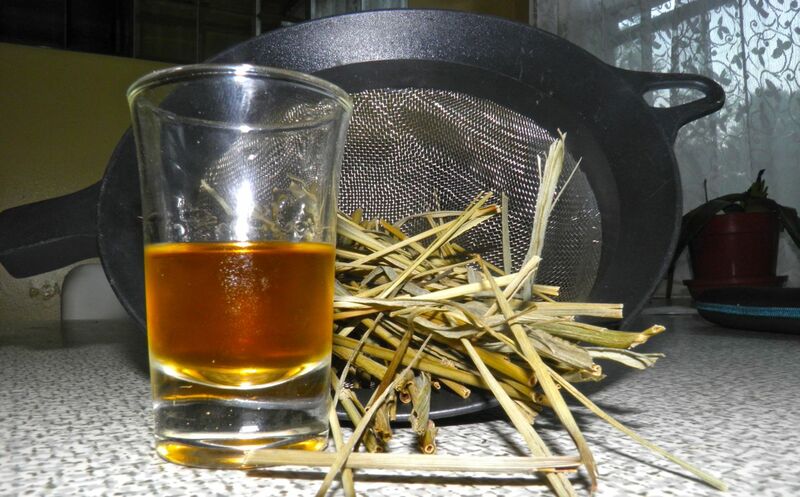 This is a hay-flavoured vodka. Now before you think I’ve lost my mind, I had a Polish vodka many years ago that was flavoured with buffalo grass –or at least what they called buffalo grass. I’d never heard of it before. The vodka was served ice-cold and as shots. It was also crystal clear, but I don’t have re-distillation processes in place to clarify my homemade hooch. 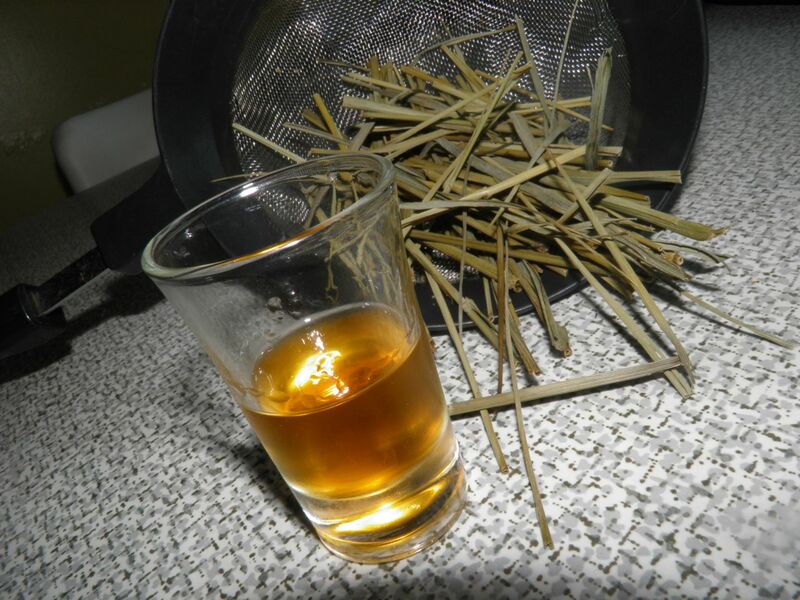 My infused vodkas are “all natural,” meaning usually darker coloured than if commercially produced. I may not have heard of buffalo grass, but I am familiar with timothy grass, a major constituent of hay on the East Coast of North America. When we were young we used to pick a stalk and chew on the timothy grass. I still do it. Picture a “hay-seed” hick–highly insulting I know–with a piece of grass sticking out of his mouth.That’s timothy grass, most likely. 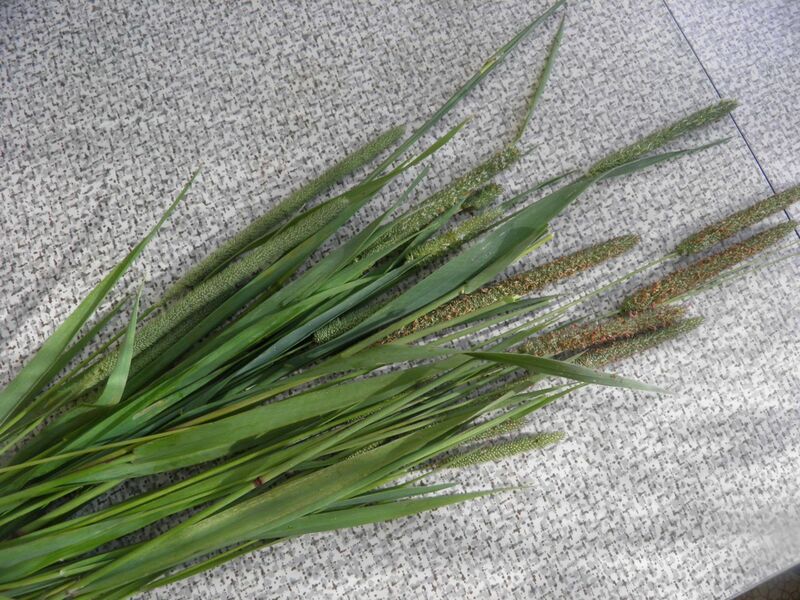 Timothy grass is a perennial grass native to most of Europe. It is believed to be an unintentional introduction on this side of the Atlantic, first being reported growing in New Hampshire in 1711. It soon became used as a hay crop. If you want an unusual martini or interesting chilled shots look no further. The taste is unlike anything else. 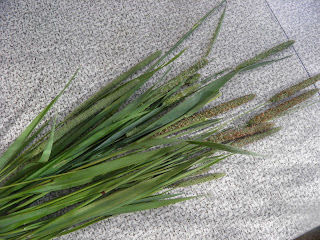 Timothy grass pollen is an allergen to some people so I only used the stalks and blades of grass. I have it chilling in the refrigerator right now. If used as shots, put it in the freezer to get a little syrupy. Make sure you harvest your grass in an unpolluted spot. It’s also best to was it to get any airborne dust from the grass. Remove the heads and chop the remaining grass into 2-4 inch lengths. Place in the jar and pour the vodka over the top. Seal. Shake every day for 1 to 2 weeks. The infusion time is up to you. 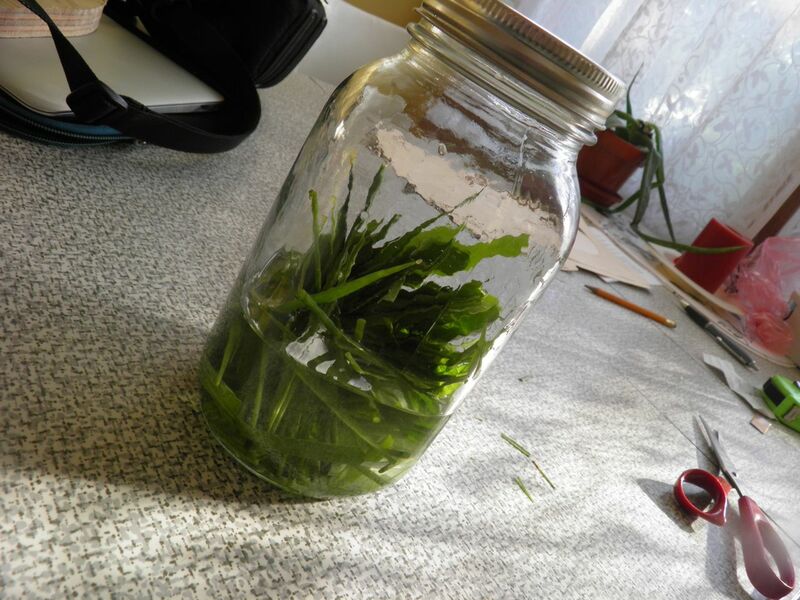 If giving as gifts, place a blade of grass in the bottle with the vodka, but make sure it is completely submerged or it will decay.